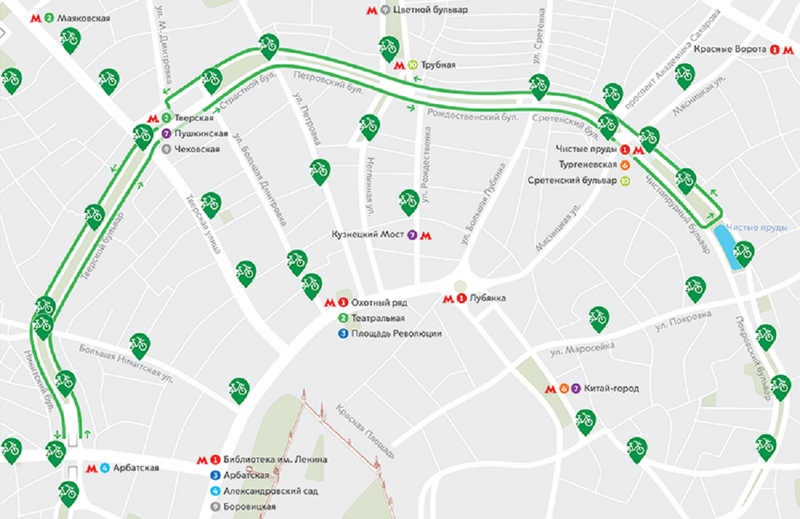 The press service of the Moscow Transport Department reported that the first bike lane will be open at the Boulevard Ring on July 4. The total length of the lane will be about nine kilometers. The lane will pass from Nikitsky to Chistoprudniy boulevards. It will be fenced off the roadway by artificial borders and car parking. It became possible to arrange the bike lane by changing the width of the existing road lanes from three and a half to three meters. In addition, there will appear special lights and signs for the cyclists and a markup, warning of the danger areas. Parking at the bile lane will be forbidden. As the bike lane is organized at the expense of the roadway, it will be possible to ride both bicycles and mopeds there. Earlier it was reported that that new bike lanes would appear at nine streets in the center of Moscow. Among them are Myasnitskaya, Bolshaya and Malaya Nikitskaya, Malaya Bronnaya, Mytnaya and other streets.